Reynette AhSam sat down quickly at our secluded little table with a big smile on her face, looked us both in the eye, and said matter-of-factly: “Your secret is out; I heard you’re wine bloggers!” While we’re far from famous, and while we, like most everyone else who writes about wine, have other occupations during the day, we were indeed there with our laptop in front of us, writing a blog about our recent trip to Sonoma. It would have been difficult to argue, so we didn’t. We just started talking with Reynette, who along with her husband Ralph, is part-owner of the incredible little winery in which we sat, a place that could easily be classed as one of Western Iowa’s best kept secrets. Soon Ralph was there as well, and together we shared wine and conversation late into the evening, and even got a quick tour of the winemaking facility, located just behind the tasting room. 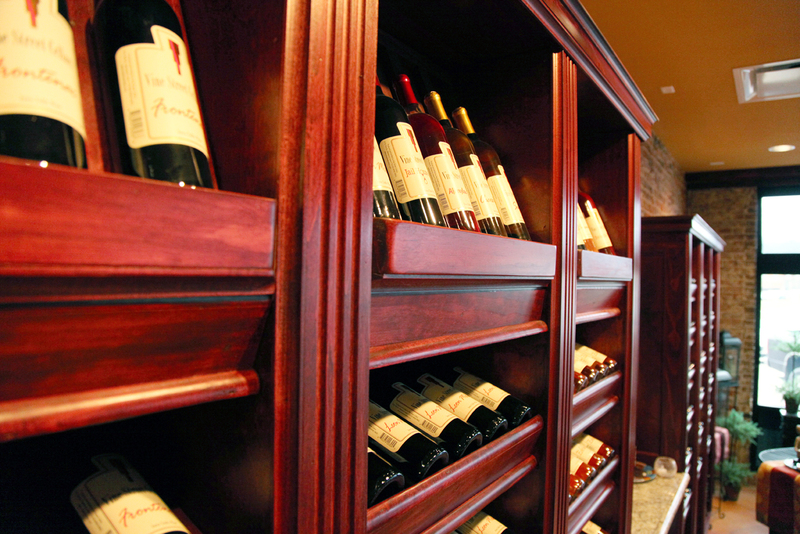 With all of the attention the AhSam’s paid to detail, precision, and cleanliness in their facility, it was no wonder their wine was some of the best we’ve had. And as friendly and welcoming as they were, it was no wonder that their large tasting room was packed to the doors and windows with locals and travelers alike. 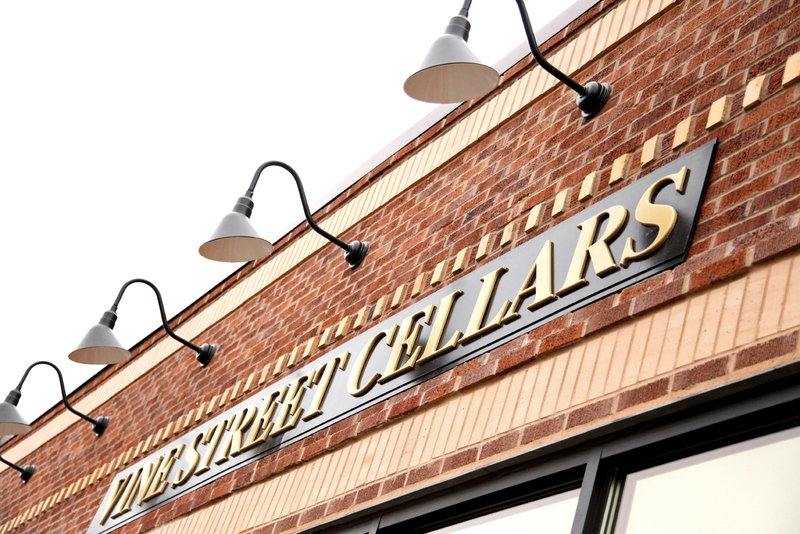 We stumbled upon Vine Street Cellars, located in Glenwood, Iowa, earlier that day on a sunlit Saturday afternoon in February. 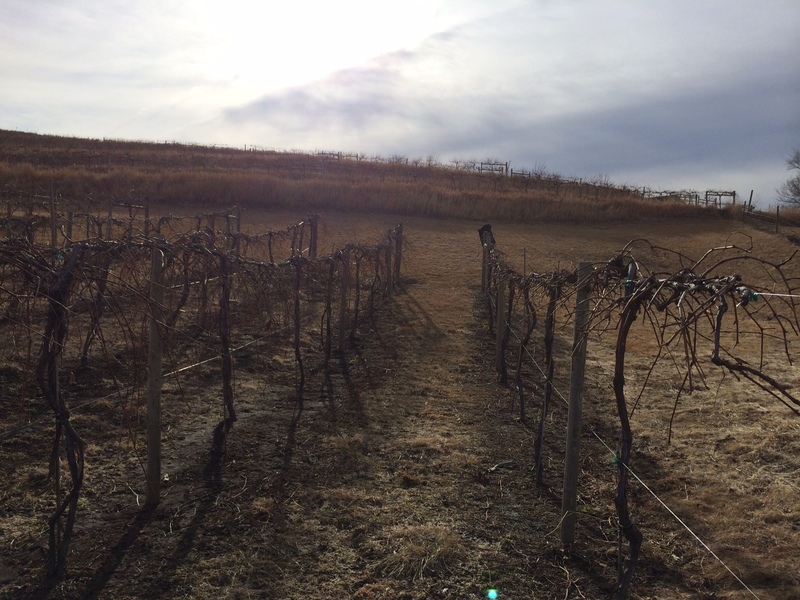 Western Iowa boasts a significant number of vineyards and wineries and we had set out with no real destination in mind, but hoping as we always do to encounter something special. It was upon the recommendation of another vintner that afternoon that we sought out Vine Street. Pulling into the quaint, small-town square of Glenwood, our anticipation began to build. The storefront, elegantly created in something of a rural-classic motif, was once the home to an auto parts store. Inside the spacious tasting room, a beautifully finished custom wooden bar dominates in the center of the room, and matching wine racks run wall to wall and floor to ceiling along the southern side, giving the entire environment something of a library-like feel, but far better for the thirsty traveler as the shelves are stocked with wine instead of books. So many gorgeous tasting rooms end up being compensation for sub-par wine, but Vine Street’s award-winning wines are truly a delight. 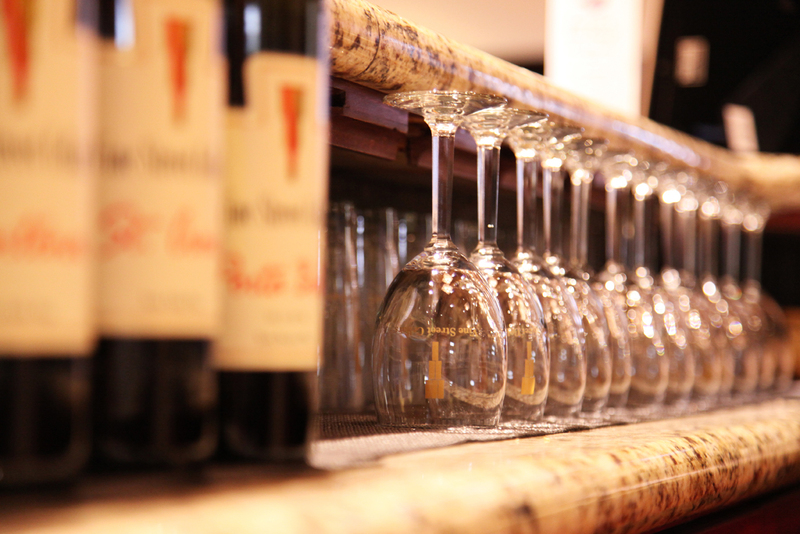 The owners take special pride in the quality of their wine, and have been rewarded for their efforts with medals at numerous wine competitions over the past several years. Mark’s favorite is the Chancellor; he describes it as “A red that could compete with anything in Napa; a nose full of berries leads into a well-balanced, medium bodied wine with notes of currant and cherry, complex, with plenty of tannins and a wonderful finish.” Sonja’s favorite is the Vignoles, which she described as “quite tasty.” (Mark is way more into the “lingo” than Sonja.) But just as important if not more so than our thoughts about Vine Street are those of the people who own and operate it everyday, and who have invested so much of their time, money, and lives into its success. And for some insight into VS’s inner-workings, we sat down one afternoon and had lunch with Reynette. 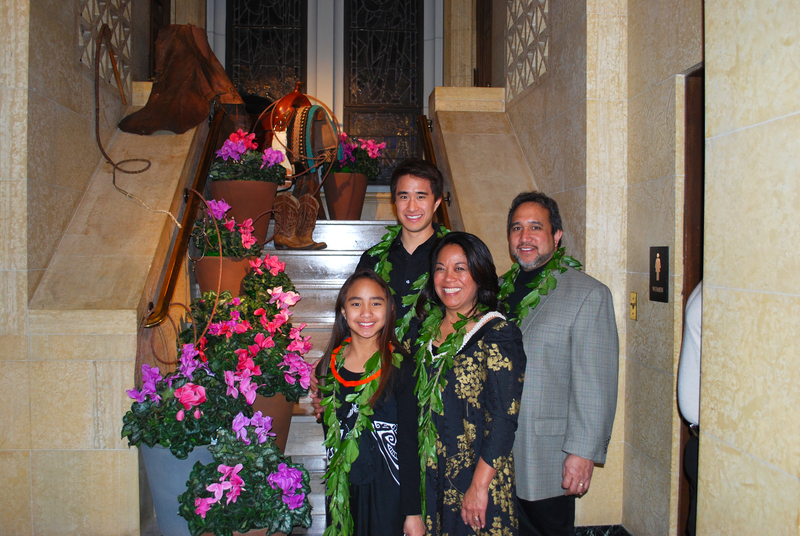 Both Hawaiin by birth and originally from the island of Hawai’i, Ralph hails from a town on the north side of the island called Waimea, while Reynette comes from the eastern side, a town known as Hilo. They didn’t grow up together, but learned later in life that some of their relatives are well acquainted. How two Hawaiians, accustomed to warm weather and mountainous, tropical terrain wound up in Iowa is a story Reynette will tell you with a smile. She was not enthused at first: “Corn, soybeans, flat. It was the same everywhere!” Yet today, you’ll find her mingling with guests at Vine Street Cellars, or else out amongst the grapes, and you can tell right away that she belongs there. “I’m always the skeptic,” said Reynette, who was incredulous to begin with. “We didn’t know anything about wine, we didn’t know anything about grapes – I mean, we could buy land, but, man, my husband doesn’t even drink!” So began their journey. 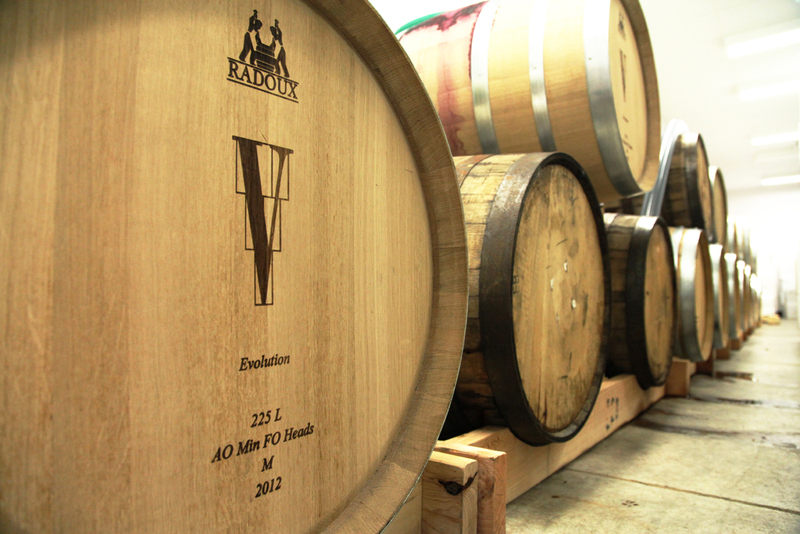 Eventually, the AhSam Family joined forces with James and Ann Gapinski to open their winery. Ralph and “Gap” as he is called had been colleagues in the United States Air Force for many years, and they had already started a business together called Spiral Solutions and Technologies. But there was a pact. Before they even started their business in Omaha, which has since been moved to Glenwood, Ralph and Gap promised one another that if they were successful, they would eventually plant a vineyard and start a winery. And then, of course, there’s Ramsay AhSam. Son to Ralph and Reynette, the young man with snowboards strapped to the top of his Subaru Outback who always wears a casual smile on his face is easily one of the most impressive (and youngest) people that either of us have met in the wine industry to date. “He was in high school when we first planted our grapes eight years ago. At 23 years old, he managed the 2013 harvest crew, his second year at it, and this years’ pruning too,” says Reynette, proudly stating the facts about her son’s important role in the family business. That pruning will be the topic of another post, and Ramsay AhSam’s knowledge and involvement at Vine Street Cellars will make him a recurring character in this series. Ramsay will soon graduate from Iowa State University having spent most of his time there in horticulture, learning about – you guessed it, grapes and winemaking. For now, however, Ramsay spends his time alongside Mark, Denny, and Ralph in the back of the tasting room, experimenting and artfully crafting Vine Street’s award winning wines. Part 1 from April of an ongoing series of blog posts from “I Thee Wine”. The more recent posts will be reblogged as well.